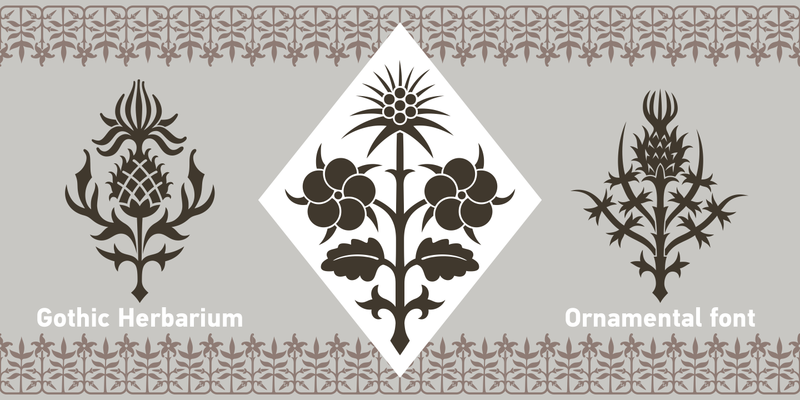 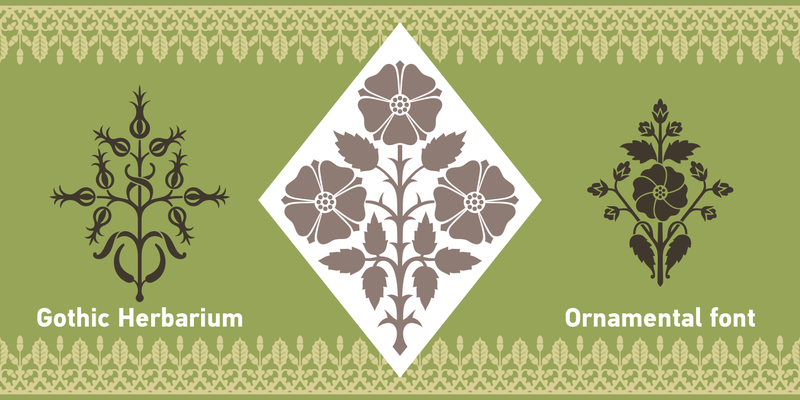 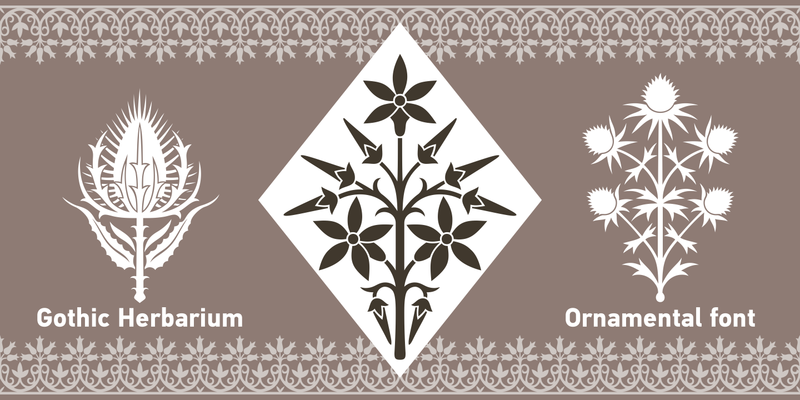 Ornamental font based on the Gothic Revival ornaments developed by Augustus Pugin (1812-1852). 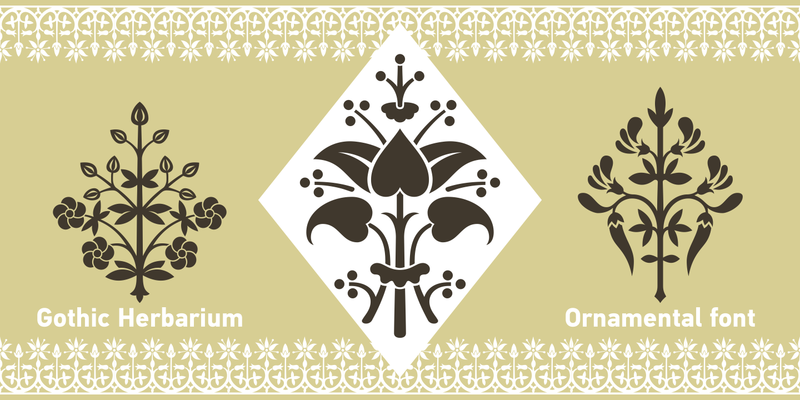 This is a collection of ornamental plants and flowers arranged in a convenient font file that may be always at hand. 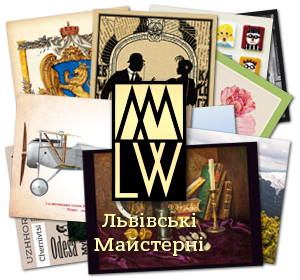 Decorate your projects with high quality and interesting ornaments!